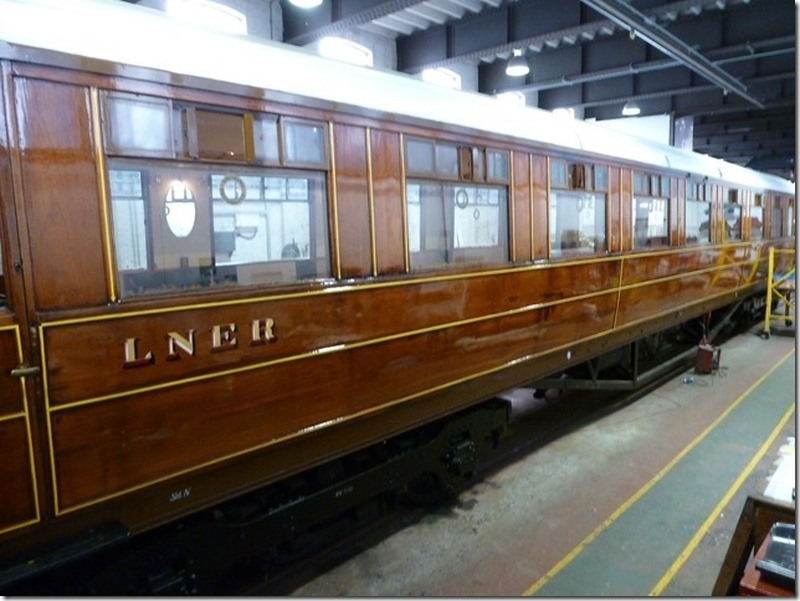 The completed restoration project was funded by the SVR Charitable Trust (SVRCT) and was first started by the LNER Coach Fund over 30 years ago. 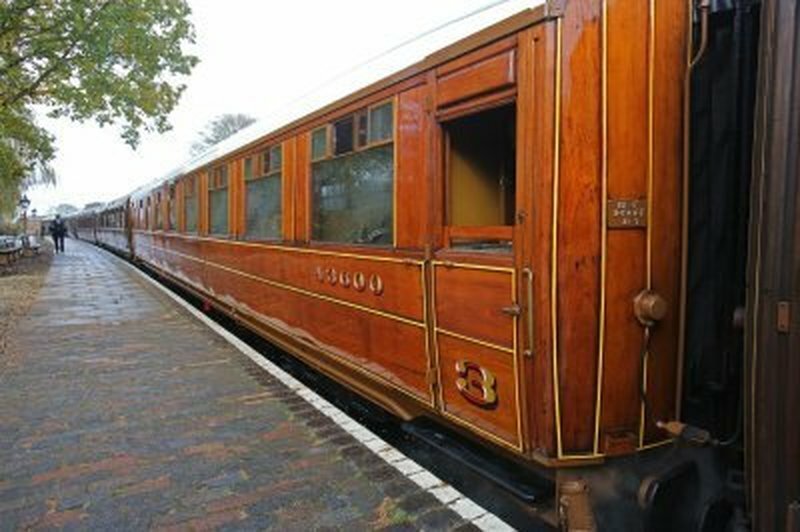 The work also coincided with the SVR’s major overhaul and re-varnish of the carriage as part of its maintenance cycle. To officially welcome carriage No.43600 back onto the Railway, harpist David Watkins serenaded the crowd at Bridgnorth station on Sunday, 23rd November during the engine’s service layover. Mr Watkins has a close family association with railways as his father, Donald, was a senior designer at the Armstrong Whitworth Scotswood works in the 1930s where he designed the first diesel electric railcar, the ‘Tyneside Venturer’. Prior to this event, SVR workers from Kidderminster and Bewdley who were involved in the restoration rode in its first public train when the carriage re-entered service on Saturday, 15th November. 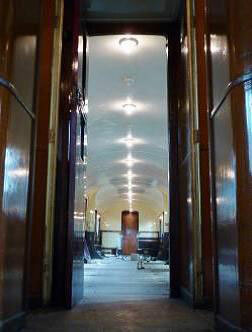 Shelagh Paterson, fundraising manager for the SVRCT, said: “This fantastic restoration of Carriage No. 43600 is just another example of how the Charitable Trust is continually working to raise funds to improve and enhance all aspects of the Railway. One notable technical innovation is that carriage No. 43600 will be the SVR’s first full use of LED lighting in a carriage, substantially reducing the power demand and, therefore, saving considerable sums on the battery requirements. 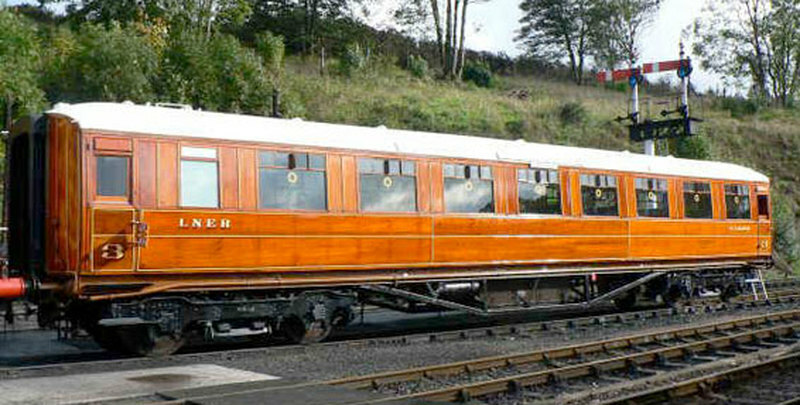 ‘Sister’ open carriage, 52255, is set to undergo similar interior improvements in 2015. The engine has been an innovator before; when built in York in 1934, TTO 43600 was one of a batch of carriages with the first welded underframes reducing the vehicle weight by about one ton, compared with riveted construction. No. 43600 is probably the sole survivor of the batch. On the right is 43600, already in the Kidderminster Paintshop and ‘stripped for action’ for the serious work to proceed, including its internal improvements. Work is progressing with the new floor for 70759’s passenger compartments. In 43600 the heater pipe protectors are being refurbished and refitted, and the first sections of the fawn moquette are in place. New LNER tables also are being ordered. Like many other main line railways, the LNER was predominantly equipped with a large and varied fleet of compartment carriages until the 1930s. Changes in social habits and improved construction techniques around that time led to the appearance of the ‘open’ coach. 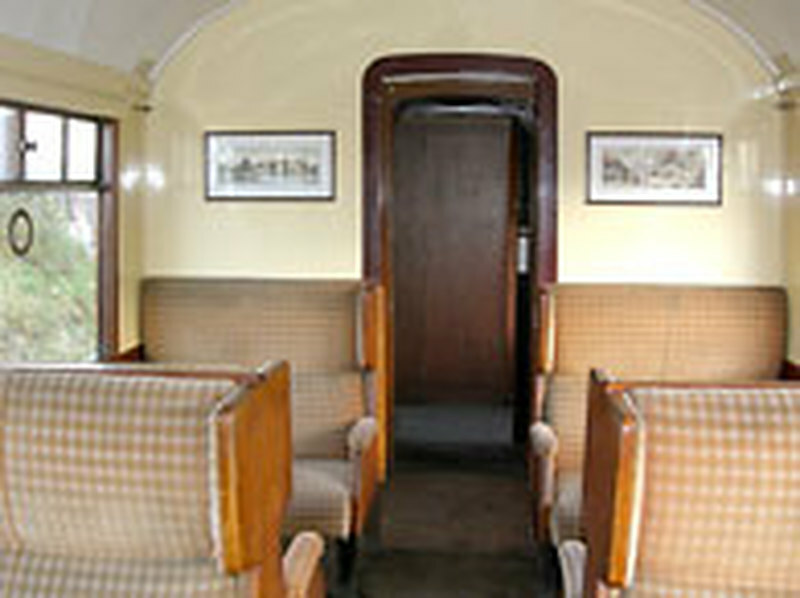 Side doors were provided only at the vehicle ends, reducing draughts, and every passenger was seated at a table – appealing to travellers and convenient for restaurant and buffet car sales staff. 43600 is one of four Gresley Open Thirds on the SVR. 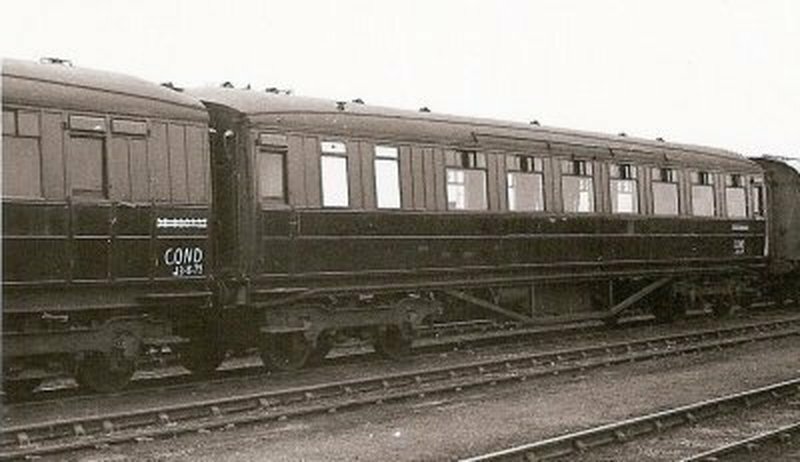 It was built at York in 1934 to Diagram 186 and is significant as being one of the first LNER vehicles with a welded chassis, which made it one ton lighter than a fabricated chassis. Along with the similar Trust owned 52255, after withdrawal from public service in 1961 43600 also served in the 1960s as part of a BR Eastern Region Control Office train, which was intended for use in the event of nuclear war. A detailed article on the ER Emergency Control Trains, from June 1981 Railway World, is featured on the LNER Coach Association website.